How important is executive support to your ability to deliver? The answer is: probably even more important than you realize! Effective project sponsorship is often rare in most organizations, which is why I'm looking forward to you learning from this episode's guest: Alfonso Bucero. My favorite extreme project management guru is Doug DeCarlo, author of the book eXtreme Project Management: Using Leadership, Principles and Tools to Deliver Value in the Face of Volatility. I had the opportunity to catch up with Doug recently and look forward to your feedback after you listen to my interview with him in this episode. Thank you for listening to The People and Projects Podcast! If you enjoy this free resource I invite you to get the word out to friends and colleagues that would benefit. Also, please send me a note to let me know what you're learning from each episode. You can reach me by e-mail at podcast [AT]i-leadonline [DOT]com. Think about the last really big project you were involved with.... How would you describe how it went? That's not what I usually hear from customers and colleagues! Rather, I'm more apt to hear responses such as "Challenged", "Stressed", or "Lots of changes!" We continue to learn so much about how to run projects and yet new projects--often those really large ones--continue to struggle. In our project management workshops we spend extended time on those factors that most contribute to project success and failure to help arm project managers, sponsors, and team members. 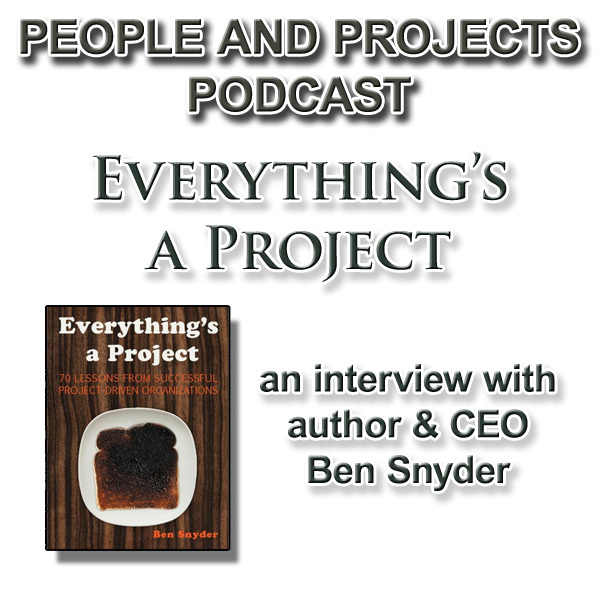 In this episode of the People and Projects Podcast, you'll hear from one my go-to people when it comes to understanding project success and failure: Phil Simon. Phil is the author of the acclaimed book Why New Systems Fail: Theory and Practice Collide. If you have a large scale project kicking off soon, I strongly recommend you contact Phil to see how his organization can help you avoid the many landmines he lays out in his book. You can learn more about Phil at his website: http://www.philsimonsystems.com/. Thank you for listening to the People and Projects Podcast! I invite you to tell your friends and colleagues about us. Some of the best free learning available these days is on podcasts, and it would be a real pleasure for me to share these interviews with those you know. You can subscribe to the People and Projects Podcast on iTunes by going to http://bit.ly/ppcast. Here's to your project success! Hello! Thank you for joining me for this episode of The People and Projects Podcast. I'm over in Europe this week facilitating a project management workshop for a great international company. Though I'm thousands of miles from home in a culture and language that is notably different from my own, I find a couple things remain the same:if you want to deliver projects and lead teams anywhere in this world, you're going to have to deal with conflict and organizational politics. It's just a reality of working with people. When I think of politics with projects, I think of my colleague Brian Irwin, PMP. Brian is the author of Managing Politics and Conflict in Projects, published by Management Concepts and is a contributing author to the book The 77 Deadly Sins of Project Management (Management Concepts, 2009). I had the opportunity to talk with Brian recently and look forward to sharing that interview with you in this episode. How about letting your friends and colleagues know about The People and Projects Podcast! Send them a link to our web page here, or have them look us up on iTunes! It would be a privilege for me to help develop their ability to lead and deliver as well. Thank you for joining me today! Have a great week! We'll see you next time on The People and Projects Podcast! I have the real privilege of helping organizations around the world improve their ability to deliver projects and lead teams. In 2008 we added a PMP®Exam Prep offering to our mix to help project managers who want to get their Project Management Professional certification from the Project Management Institute. I have to say this while I can because it's only a matter of time before I won't be able to! So far, every one of our students who have attended our workshops and taken the PMP®certification exam have passed! Now obviously I can't take too much credit for this track record because anyone who wants to pass the PMP®exam must have a fair amount of experience to even apply. In addition, there's plenty of study required. That said, it's totally passable and we can help you. If you are a project manager and haven't yet pursued certification, I strongly recommend you consider making it a goal for the coming year. Click here to learn more about PMP®certification. Now of course PMP®certification is an obvious option, but did you know there are other well respected, if not as well known, project management certifications? In this cast you'll hear from Bill Duncan. If Bill's name isn't familiar, his work will be to many of you. Bill was the primary author of the original PMBOK® Guide and shares some helpful insights on certification and delivering successful projects. To learn more about the American Society for the Advancement of Project Management and the certification Bill talks about in this cast, check out http://www.asapm.org/blog. Would you like to help your organization improve its ability to deliver projects more reliably? Our project management series of workshops take well established project management practices and use proven adult learning methods to help you put them into action. Whether you're looking for certification for a selected group of PM's or helping your entire organization improve their project management competencies, our workshops and coaching can help you make a real improvement in the coming year. Thank you for joining us for this episode of The People and Projects Podcast! For my Jewish friends I trust you had a very Happy Hanukkah! And for my listeners celebrating Christmas this week, I wish you and those you love a very Merry Christmas! Have a great start to your New Year! "PMI and PMP" are trademarks, service marks or certification marks of the Project Management Institute, Inc., which is registered in the United States and other nations. NOTE: This interview was revised on 4/30/2012 at the request of Mr. Duncan. 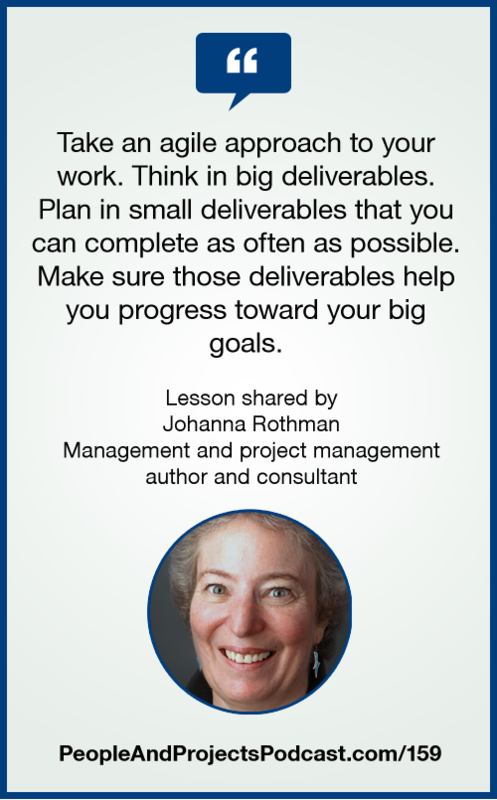 So when it comes right down to it... what can you do to better ensure that you successfully deliver the projects you're managing? It's a question I love working with our clients on, and it's a question that is directly addressed in Clint Padgett's book The Project Success Method: A Proven Approach for Achieving Superior Project Performance in as Little as 5 Days. I had the opportunity to talk with Clint recently and look forward to sharing that interview with you in this episode. To learn more about Clint and his organization, I invite you to check them out at projectsuccess.com. Do you have an upcoming company meeting or retreat? We have keynote presentations that can inspire and motivate your teams to successfully deliver the projects and lead their teams. Contact us at 866-884-5323 to learn more. Thanks for joining us for this episode of The People and Projects Podcast! Have a great week! So, let me ask you.... Are you a student of your profession? Conferences are a great way to invest in your learning--it's one way to remain a student. But how else do you make sure you continue to learn? Listening to this podcast is a clear way to keep growing, and each month we have more premium subscribers who get additional content that supplements these episodes with more personalized coaching. For this episode I wanted to focus on those who are in project management roles or who aspire to be there someday. There are many great resources for being a student of project management. And one of my favorite resources is pmStudent. Thank you for joining us for this episode of The People and Projects Podcast! Have a great week! What comes to mind when you think of the term "risk"? In our workshops and keynotes regarding project management, the topic of risk inevitably is talked about, and in those discussions it's clear that one's views and attitudes about risk significantly impact how a project is managed. A problem with risk is when we lose perspective on it. 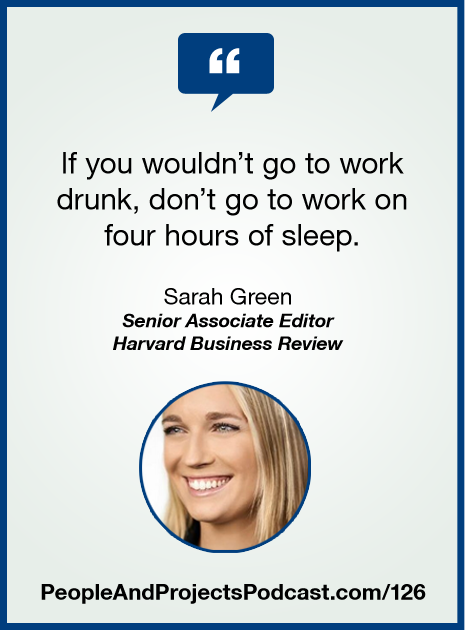 For example, "I won't get out of bed today because something bad could happen." But then there's flip side as well, where we leap from the platform exclaiming, "I hope the bungee cord is attached!" Whether at work or in life, there are an endless number of things we could worry about, and I know plenty of leaders that admit they are good worriers! It's been said that one of the best antidotes for anxiety is action, and a way to move your team and project from worrying to action is risk management. To talk about this issue I went to one of the clearest and most prolific voices on the topic, Dr. David Hillson. I've split my discussion with David into two episodes and look forward to sharing this first portion with you in this episode. You can learn more about David Hillson at his website http://www.risk-doctor.com. You'll find helpful articles and links related to risk management. In the second portion of this interview, David recommends a couple specific books, including Exploiting Future Uncertainty and Managing Risk in Projects. Also, you may want to check out Dr. Hillson's newest book The Failure Files: Perspectives on Failure. Join me in the next episode where Dr. David Hillson and I talk about how to take the next step with risk management in your organization. Note: for my premium subscribers, your additional coaching episode will be published with the second portion of the interview. 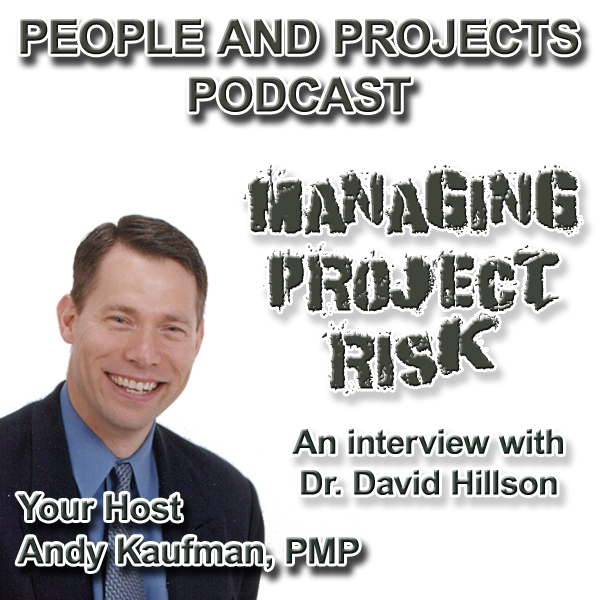 In our last episode I began a discussion with Dr. David Hillson from the U.K. regarding risks and risk attitudes. In this episode, David and I continue that conversation with a focus on how we can help our organizations take the next step in implementing risk management practices. David recommended a couple specific books in this discussion, including Exploiting Future Uncertainty and Managing Risk in Projects. Also, you may want to check out Dr. Hillson's newest book The Failure Files: Perspectives on Failure. Lead projects long enough and eventually you'll have to deal with the problem project. Whether you were involved with the project from the beginning or inheriting problems from someone else, the reality is we need to be able to rescue the problem project. That's not only true--it's also the name of a new book from Todd C. Williams, PMP. 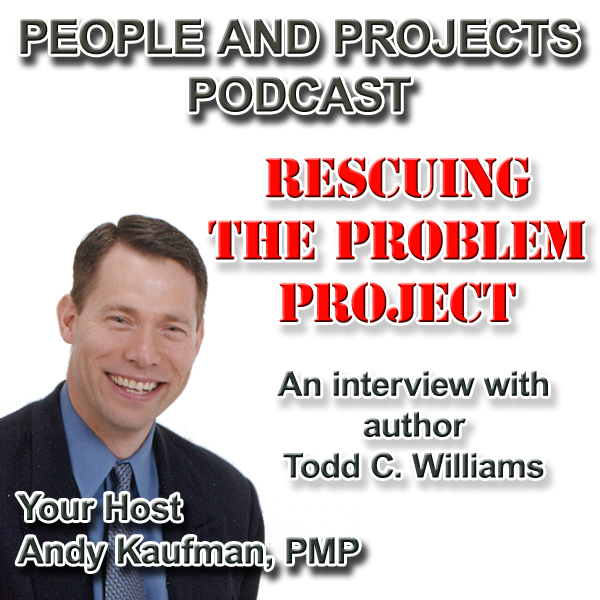 In this episode I talk with Todd about ideas and recommendations from his book Rescue the Problem Project: A Complete Guide to Identifying, Preventing, and Recovering from Project Failure. You can learn more about Todd by visiting http://ecaminc.com/. His blog Back From Red can be found at http://ecaminc.com/index.php/blog. Thank you for joining me for this premium episode of The People and Projects Podcast! Did you know that many of your colleagues invest their development by becoming a premium subscriber to this podcast? To give you a sense of the extra coaching they get each month, I'm including this premium episode into our standard free podcast feed. You can learn more about Premium Subscrptions at bit.ly/PremiumSubscribe. Oh, how we love to hate meetings! 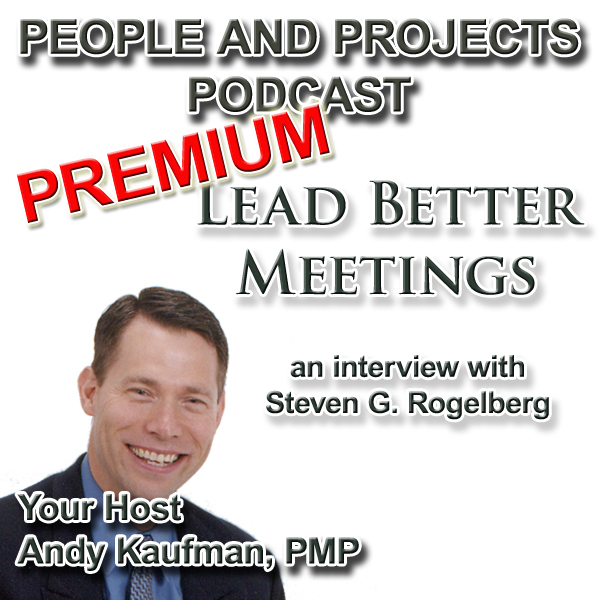 In this premium video episode I share 10 keys to lead more effective project meetings. At the end you're invited to join the conversation! What are the most important lessons you've learned? Leave your response in a comment here or on our Facebook page. Thank you for subscribing to The People and Projects Podcast! Agile is getting plenty of attention these days and for good reasons. When done well on aligned projects, great customer value can be delivered. Many people who listen to this podcast are certified PMP’s or are at least considering certification in the future. 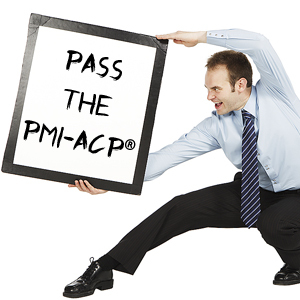 You may be aware that Project Management Institute has a relatively new agile certification: the PMI-ACP℠. One of the best new books available to help people pass the ACP exam is from Andy Crowe. You likely know Andy as the author of the popular book entitled The PMP®Exam: How to Pass on Your First Try. Andy recently released The PMI-ACP Exam: How To Pass On Your First Try. 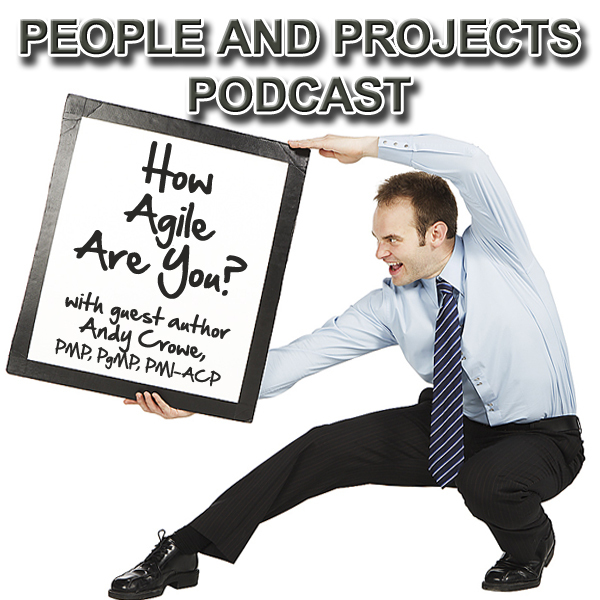 In this episode, I talk with Andy about agile, about the certification, and about project management overall. "PMI", "PMBOK, "PMP®" and "PMI-ACP" are registered marks of the Project Management Institute, Inc. So have you spent some time trying to better understand agile project management? 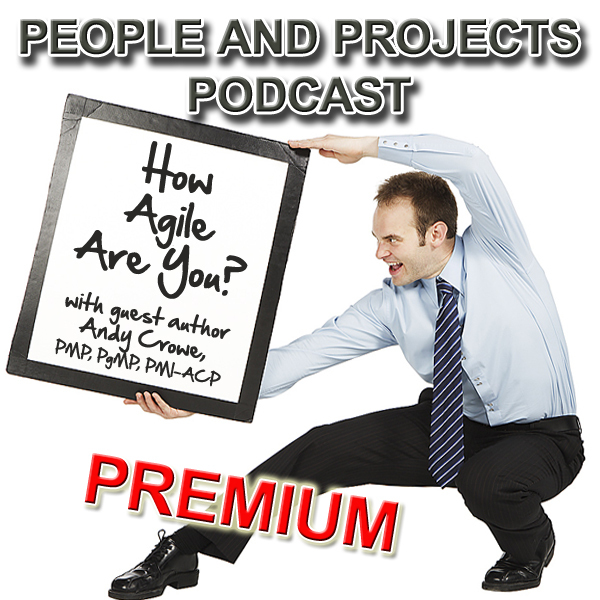 I know some of our premium subscribers are avid agile practitioners, so good for you. But for many people, it's a topic that you know you should be looking into more but have been standing on the sidelines for too long. In this premium episode I follow-up on some points from my discussion with Andy Crowe about agile project management. Thank you for being a premium subscriber to The People and Projects Podcast! A couple months back I was teaching a PMP®Exam Prep workshop. One of the participants mentioned that he was reading Tom DeMarco's book entitled The Deadline: A Novel About Project Management. It's a book that I had wanted to read many times since it was originally published in the late 1990's but it never bubbled up to the top of my book list. But when this workshop participant continued to rave about the book, it ended up on my iPad Kindle Reader before the day was done. And in the coming days I couldn't put the book down. If you're not in the software side of project management or leadership, you might not have heard of Tom DeMarco before. But if you do work on that side of the house, Tom DeMarco has likely impacted you and your job more than you know. He's been a leading thinker and practitioner in this space for decades, and in the next two episodes, you have a great opportunity to hear from this industry giant. Even if you're not in the software development arena, you'll get some practical insights from this exceptionally insightful thinker on how to deliver your projects and lead teams. 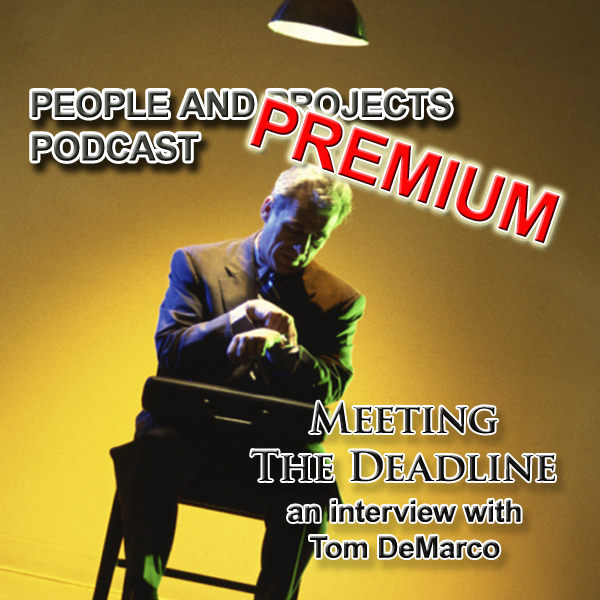 To get your copy of The Deadline, click here Join us in the next episode when Tom will address topics such as knowing what we don't know, dealing with jerk bosses, and what he writes and speaks about but has trouble doing himself. 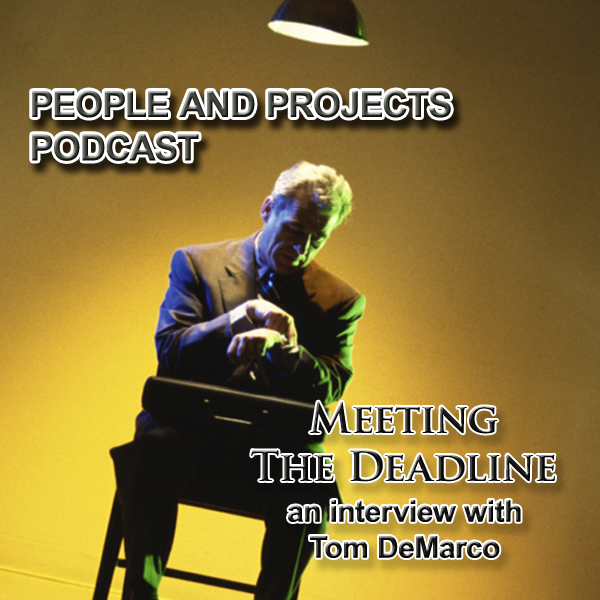 In this episode I continue my discussion with Tom DeMarco, with insights related to his writing in books such as The Deadline. If you didn't listen to the first part of my interview with Tom, I recommend you listen to that one before continuing. In this episode Tom addresses topics such as knowing what we don’t know, dealing with jerk bosses, and what he writes and speaks about but has trouble doing himself. Make sure to stay tuned after the interview for a very transparent story from Tom about his career. I invite you to stop by our podcast Facebook page! "Like" it and the join the discussion. I am immensely thankful for the many people who are premium subscribers to the People and Projects Podcast. By making this investment in their personal development, they receive extra episodes for additional insights into the topics covered by our free episodes. In addition, this investment helps cover part of our costs for our free episodes. So here's a big thank you to our Premium Subscribers! To give you an idea of what Premium Subscribers get with each episode, I'm including this Premium episode in the free podcast stream. If you'd like to get these additional episodes each month to further your application of the material, please go to http://bit.ly/PremiumSubscribe to learn more. I trust you had the opportunity to listen to both episodes of my interview with Tom DeMarco.He's a guy who has uniquely impacted the world of projects, and it was certainly a pleasure for me to talk with him. His books are insightful, practical, and even a bit a quirky (in a good way) at times. But I'm confident that if you're in the software development side of project management or leadership, you'll get value from his books. The myth of "The more pressure, the better"
"It's not what you don't know that kills you. It's what you know that just isn't so." Are we changing people or just amusing them? Know What You Don't Know: How Great Leaders Prevent Problems Before They Happen. You can listen to my interviews with Michael Roberto at http://bit.ly/RobertoCast1 and http://bit.ly/RobertoOnFilters. Now You See It: How the Brain Science of Attention Will Transform the Way We Live, Work, and Learn. To listen to my interview with Cathy, go to http://bit.ly/NowYouSeeIt-1 and http://bit.ly/NowYouSeeIt-2. Thank you for being a Premium Subscriber to The People and Projects Podcast! I greatly appreciate this opportunity to be part of your personal development strategy. Have a great week! Everything's a Project.... That's not only a great name for a book--which it is--but it's also a great way to look at many things at work and in life. Looking for a job? It's a project. Need to create a report for your boss? It's likely a project. Looking for ways to develop your skills? You guessed it--your personal development is a project. Now, of course, not everything is a project. But most leaders would benefit if we thought of our work as projects and applied lessons that we've learned from the world of project management. Well, Everything's a Project: 70 Lessons From Successful Project-Driven Organizations is the title of a book published earlier this year by my friend and colleague Ben Snyder. In this episode I look forward to sharing with you a recent discussion I had with Ben about his new book. Don't miss the normal end of episode outtakes! To learn more about Ben and his organization, check out http://www.systemation.com. Hey, I have a quick idea for you: Many organizations hold department or company meetings in the last half of the year or to kick off a new year. It could just be that someone in your company is planning one of those right now! I invite you to recommend one of our keynotes or workshops for that meeting. We have a series of sessions designed to help you and your organization lead and deliver. They are practical, interactive, motivating, and ultimately results-oriented. If you like what you hear on this podcast, it's even better live! And if you reserve a session before the end of September, I'd be glad to extend a 20% discount to the fee for podcast listeners. Visit http://www.i-leadonline.com/documents/AndyKaufmanBrochure.pdf to learn more. OK, I have a confession to make! You'll have to listen to this premium episode to catch it. Beyond the confession, this premium episode includes additional coaching on topics that Ben and I discussed during the interview. Enjoy! A month or so ago I was talking with listener Mike Settlemire. Mike was participating in our Advanced Project Management e-learning program and we were talking about the podcast. Mike had a suggestion: what about interviewing practitioners? People who are leading and delivering in the real world? Hey, I love bringing you discussions with people like John Kotter, Dan Pink, Kerry Patterson, Adam Grant, and the many other guests we have had thus far. And we will continue to deliver interviews from authors of books that can stretch and inform us to better lead and deliver. But I think Mike is exactly right! Some times it can be just as effective to hear from a peer. What does he or she do to help them lead and deliver? What has led to their success and what would they do over? 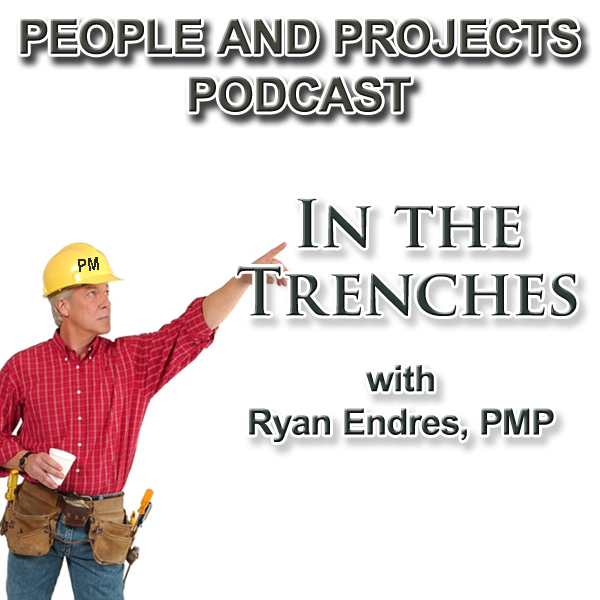 Our first installment of our In the Trenches series is with Ryan Endres, PMP. In the interview Ryan shares insights and lessons that have helped him successfully lead and deliver. 20 PDUs for a Great Price! JARDINS DU LUXEMBOURG by Jahzzar is licensed under a Attribution-ShareAlike License. 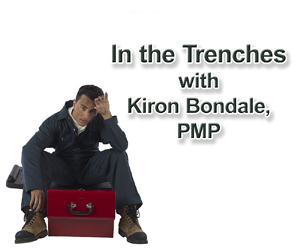 We continue our In the Trenches series of episodes, with this interview with Kiron Bondale, PMP. Kiron runs the Project Management Office at Agricorp. Make sure to check out Kiron's insightful blog at http://kbondale.wordpress.com. Whether you need contact hours for PMP®certification or PDUs, we can help! Our e-learning is engaging, informative, and even fun. Go to http://courses.i-leadonline.com/courses/advanced-project-management to get 20 PDU's for a great price. FIREWORKS by Jahzzar is licensed under a Attribution-ShareAlike License. If you are in the business of delivering projects, especially in the area of software development, you have certainly heard about agile project management. A good sign that the influence of agile continues to grow is when the Project Management Institute created the PMI Agile Certified Practitioner credential (PMI-ACP®) in 2012. If you are actively involved with agile in any of its many forms, it's worth learning more about the PMI-ACP certification. And if you're not currently utilizing agile practices, it's worth investing time to understand what it is and isn't. In this episode, I welcome back my friend and podcast colleague Cornelius Fichtner, whom you probably know as the voice of The Project Management Podcast. In this episode I talk with Cornelius about agile, the PMI-ACP certification, and a new way to study for the PMI-ACP that might just fit your style of learning. If you want to study to pass the PMI-ACP exam, check out The Agile PrepCast. Cornelius and his team have been working for over a year to make this a critical resource in your preparation. Similar to his PM PrepCast offering, the learning is delivered via a podcast stream so you can watch or listen to it in a manner that is convenient to your work and lifestyle. For years I have been affiliate of Cornelius' products and it is with great confidence that I recommend the Agile PrepCast to you. Add Your Voice to Our Podcast! Are you a regular listener to The People and Projects Podcast? I'd love to have your voice added to the beginning or end of the cast. Just send me an e-mail saying "I'd love to help!" I would love to have the opportunity to talk with you directly so contact me today and we'll set up a time to record your piece. My favorite agilists tend to be people who don't take themselves too seriously. Enjoy! FASTER DOES IT by Kevin MacLeod is licensed under a Creative Commons Attribution License. 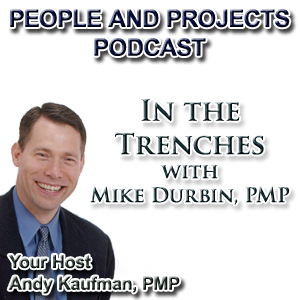 "PMI" and "PMI-ACP" are registered marks of Project Management Institute, Inc.
We continue our In the Trenches series with this discussion with Paul Weber, PMP.Paul shares insights and lessons he's learned in his years of leading teams and delivering projects. To learn more about Paul and to contact him about the free EVM and PERT calculators mentioned in this episode, go to http://www.pmpguy44.com. Paul warned us to make sure we don't think of leadership as being the boss, or being bossy. Here's one of my favorite authors talking about power poisoning, the effect that happens when someone gets power. NO GOOD LAYABOUT by Kevin MacLeod is licensed under a Creative Commons Attribution License. We continue our In the Trenches series with this discussion with Mike Durbin, PMP.Mike shares insights and lessons he's learned in his years of leading teams and delivering projects. Get PDUs or Contact Hours For Less! Want to get 35 PDUs or contact hours for a great price? Check out our PMP®Exam Prep e-learning at http://courses.i-leadonline.com/bundles/pm-certification-exam-prep. This is a great option, whether you're preparing for the exam or want to refresh your knowledge for PDU's. Mike mentions a Zig Ziglar quote during the interview. Here's a sampling of the wisdom of the late Zig Ziglar. GOODWILL COWBOYS RIDE AGAIN by Michael Chapman & The Woodpiles is licensed under a Attribution-NonCommercial License. MARATHON MAN by Jason Shaw is licensed under a Attribution 3.0 United States License. ACOUSTIC BLUES by Jason Shaw is licensed under a Attribution 3.0 United States License. CHIADO by Jahzzar is licensed under a Attribution-ShareAlike License. LEARNED MY LESSONS by Jenny O is licensed under a Attribution-NonCommercial-NoDerivatives (aka Music Sharing) License. Never Had a Failed Project? Have you ever had a project that failed? Be careful--this is a truth test! If someone tells you they always deliver on time, on budget, with all the specified scope, be wary! Delivering projects successfully every time sounds great in an interview but a challenge in the real world. My guest today is Jim Johnson, Founder and Chairman of The Standish Group. Jim has a passion to understand why things break and how to fix them. In this discussion we talk about why projects break, and some ideas on how to improve the likelihood of successfully delivering. 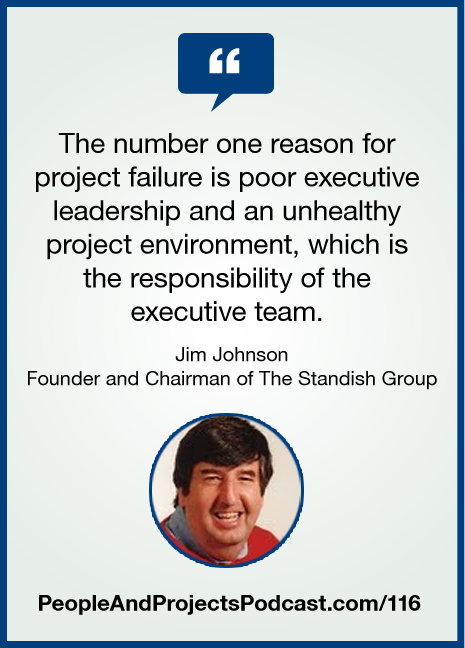 You can learn more about Jim and The Standish Group at http://www.StandishGroup.com. Why do you listen to The People and Projects Podcast? What has helped you? What questions do you have for me? I love hearing from listeners and I want to hear from you! So call me! You can leave a message on our Podcast Listener Feedback line by phone or Skype. You can leave a message by phone at 847-550-3747 or by Skype at andy.kaufman.i-lead. Thanks! SKIPPY by Podington Bear is licensed by Attribution-NonCommercial 3.0 International License. LIES by Devora Clark is licensed under a Creative Commons License Agreement. CANDLEPOWER by Chris Zabriskie is licensed by Attribution License. On a regular basis, we invite listeners of The People and Projects Podcast to gather for a follow-up webinar. These webinars allow us to go into more detail on the content from one or more previous episodes. This video episode is a replay of our follow-up webinar on Episodes 115 and 116. Please join us for future webinars! DAYDREAM HEARTBEAT by Podington Bear is licensed under Attribution-NonCommerical 3.0 International License. What's something specific you've learned in the last 12 months that you either didn't know before then or you had to re-learn it? That's a question I asked some of my favorite continual learners--friends and colleagues who are committed to developing their abilities. Please e-mail me (show [AT]PeopleAndProjectsPodcast [DOT]com) or leave a message on our Listener Feedback Line (847-550-3747). What did you learn last year? I look forward to hearing from you! Thank you for joining me for this episode of The People and Projects Podcast! Here's to a great start to the year! WONDER CYCLE, CGI SNAKE, I AM RUNNING DOWN THE LONG HALLWAY OF VIEWMONT ELEMENTARY, CANDLEPOWER, I AM RUNNING WITH TEMPORARY SUCCESS FROM A MONSTROUS VACUUM IN PURSUIT, and DIVIDER by Chris Zabriskie is licensed under a Attribution License. I'm happy to welcome Susanne Madsen to the podcast. 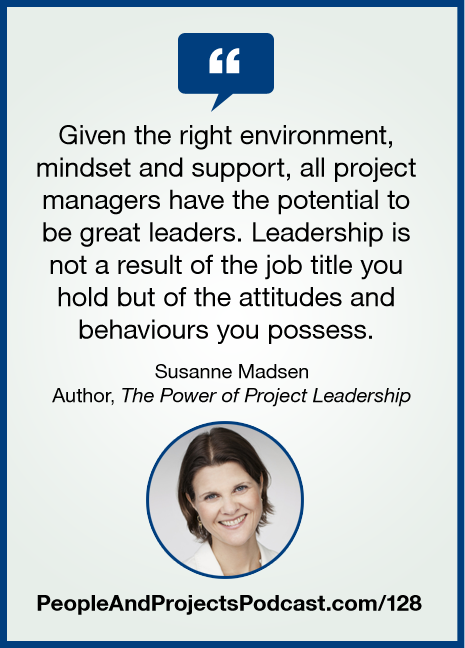 Susanne recently published The Power of Project Leadership: 7 Keys to Help You Transform from Project Manager to Project Leader. Learn more about Susanne and her book at http://www.powerofprojectleadership.com/. If you're interested in developing your leadership skills, I have an idea for you. Our Leadership Fast Track Program fires up again in June. You are cordially invited to join me and others from around the world in this program that combines assessments, learning sessions, and one-on-one coaching. I facilitate each of the learning sessions live, over the web, which means you can participate regardless of where you live. In our one-on-one coaching sessions, I'll work directly with you to help you take the next step in your ability to lead and deliver. Plus, the program earns you 20 PDU's if you're a PMP. To learn more and take advantage of the early-bird discount, visit LeadershipFastTrackProgram.com. 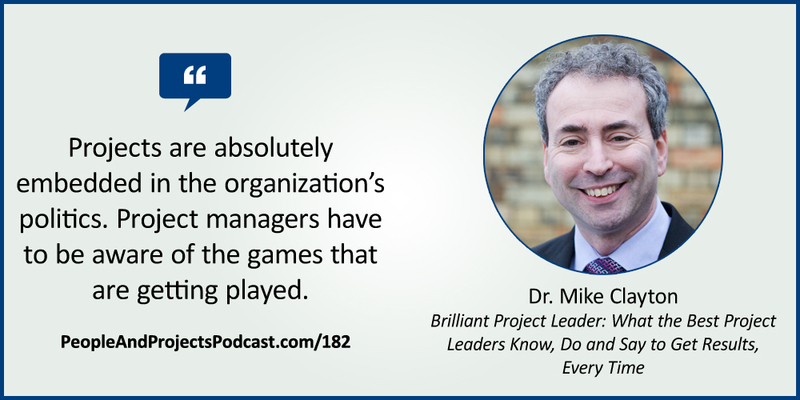 In this episode, we speak with Max Wideman, one of the original authors of the Project Management Body of Knowledge (in fact, he coined the term "PMBOK Guide"). 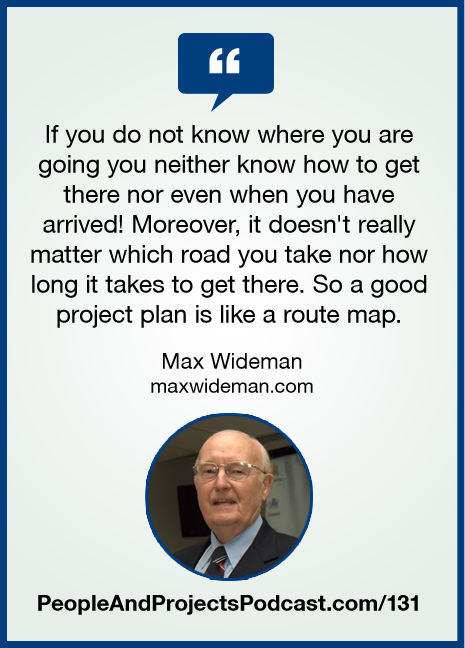 Today Max continues to share his insights on project management on his information-packed website MaxWideman.com. In this episode, I welcome Scrum inventor and co-creator Jeff Sutherland. 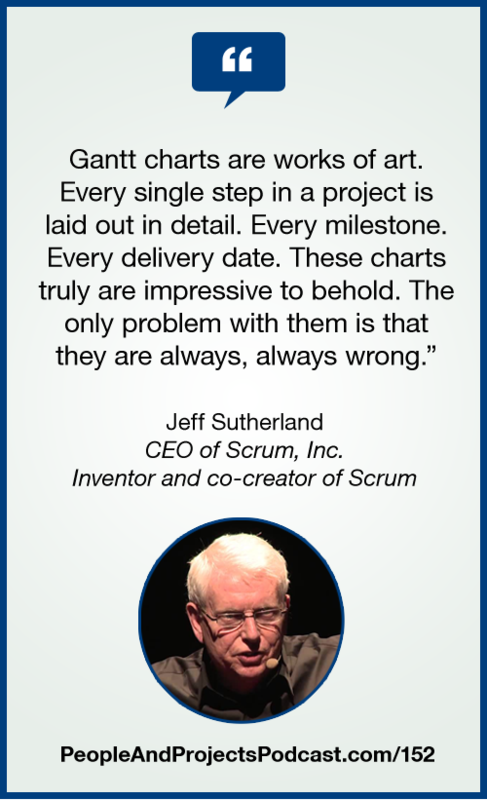 He's the author of Scrum: The Art of Doing Twice the Work in Half the Time. Does getting twice the work done in half the time sound like a promise that's too good to be true? Well, read Jeff's book and you'll find this isn't just conjecture. There's evidence that Scrum could radically help you and your team more reliably deliver your projects. Learn more about Jeff and his company at http://ScrumInc.com. Also, you can find the Scrum Guides at http://ScrumGuides.org. Want to learn more about how to deliver successfully when you're faced with uncertainty? I'm leading a free webinar for listeners of The People and Projects Podcast. Join me on Thursday, 4 August, 2016 at 11:00am Central (GMT-5). 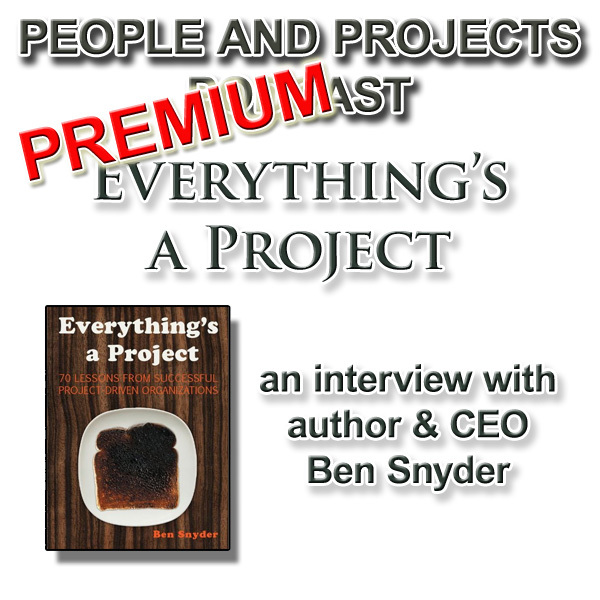 Register for free at http://PeopleAndProjectsPodcast.com/Webinar. DEADLY ROULETTE by Kevin Macleod Licensed under a Creative Commons: Attribution 3.0 License. DISTRICT FOUR by Kevin Macleod Licensed under a Creative Commons: Attribution 3.0 License. One of the primary reasons so much of our emphasis on The People and Projects Podcast is on the people side of our profession is because that is often the biggest struggle. In many ways, project management is really people management, and learning how to navigate the people side of our projects is critical for sustained success. In today's episode, we focus on the topic of stakeholder management. We're joined by Dr. Lynda Bourne, author of Making Projects Work: Effective Stakeholder and Communication Management. 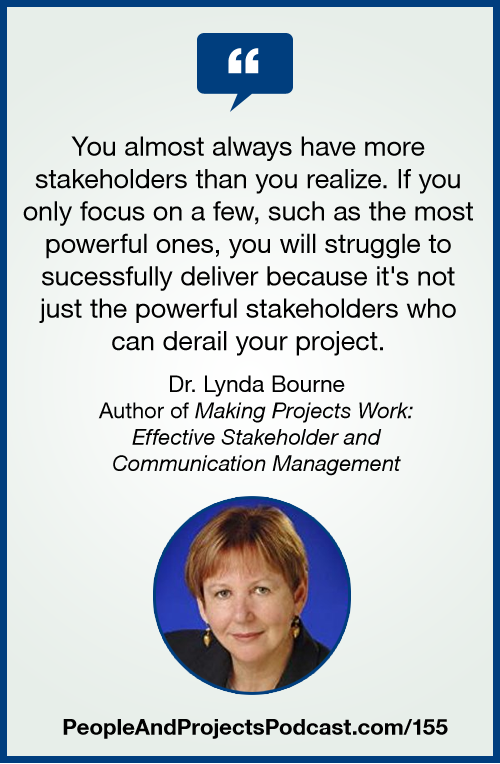 You can learn more about Lynda, including information about the Stakeholder Circle® at http://www.stakeholdermapping.com/. Want to get your PDUs for listening to The People and Projects Podcast? Click here to learn everything you need to know. Also, contact me to get a coupon code that takes $100 USD off the price of our Advanced Project Management e-learning (worth 20 PDUs). You can contact me at show [AT]peopleandprojectspodcast [DOT]com. Thank you for joining me for this episode of The People and Projects Podcast! Here's to a great year ahead! WONDER CYCLE, CGI SNAKE, I AM RUNNING DOWN THE LONG HALLWAY OF VIEWMONT ELEMENTARY, CANDLEPOWER, I AM RUNNING WITH TEMPORARY SUCCESS FROM A MONSTROUS VACUUM IN PURSUIT, DIVIDER, WHAT DOES ANYBODY KNOW ABOUT ANYTHING, AND ANOTHER VERSION OF YOU by Chris Zabriskie is licensed under a Attribution License. Timeframes. Budgets. Staffing. Project managers constantly face confounding constraints on their journey to deliver a project. Constraints limit our options. They seem to make it more difficult to deliver. And they might be exactly what we need, according to author Scott Sonenshein. 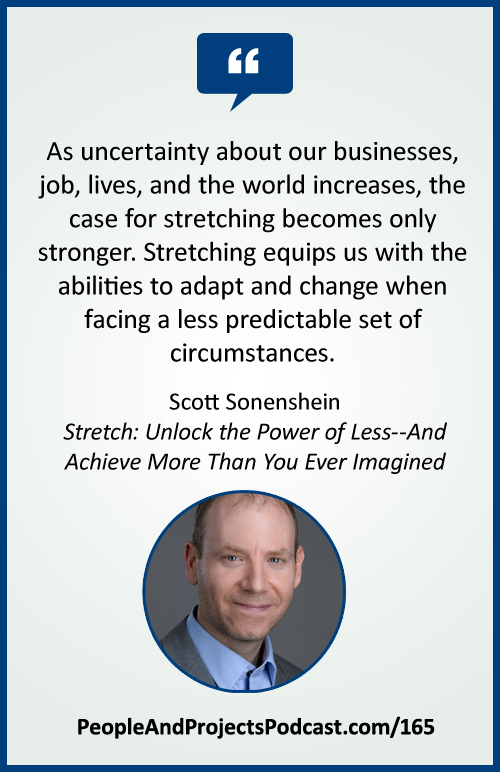 Scott is the author of the new book Stretch: Unlock the Power of Less--and Achieve More Than You Ever Imagined. Scott relates why being MacGyver-like, adaptable to the constraints we encounter, can help us not only be more successful, but happier as well. Have Andy Speak at Your Company! I spend most of my weekdays delivering project management and leadership workshops and keynotes at companies and conferences. Visit http://www.i-leadonline.com/workshops to learn more about how we can help you and your teams learn how to lead and deliver. Also, learn more about our e-learning course about developing stakeholder relationships by visiting http://courses.i-leadonline.com/courses/the-dirty-little-secret-of-business. OCTOBLUES, PORCH BLUES, and MATT'S BLUES by Kevin Macleod Licensed under a Creative Commons: Attribution 3.0 License. What's So Critical About Critical Path? If you're preparing for taking the Project Management Professional (PMP)® exam, you need to know how to calculate critical path by hand. Beyond the exam, what's important is to truly understand how critical path can help you manage your project. Too often, critical path is a red line on a Gantt chart, with little attention paid to it. In this episode, I share a video from our project management e-learning course entitled The Essentials of Project Management. Here's what you need to know about critical path! ENTER THE PARTY by Kevin McLeod Licensed under an Attribution 3.0 License. One of the true joys I have in my role is the opportunity to meet and interact with people from all over the world. And when I have the opportunity to spend some time talking with people who have a passion for leading teams and delivering projects, it's particularly fun! Stakeholder management, including how to keep stakeholders engaged. Influencing challenging stakeholders and team members. How organizational politics impact how we lead projects. How to manage risks on projects (and what aspect of risk management gets too little attention). 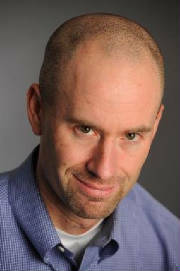 Learn more about Mike and his online PM courses at http://www.onlinepmcourses.com/about/. As Mike and I talk in this episode, a lot of success leading projects comes down to building relationships. Learn how to more effectively build relationships by signing up for our Dirty Little Secret of Business e-learning course. Earn 1.5 PDUs while learning how to more effectively develop relationships. CHIPPER DOODLE v2 by Kevin Macleod Licensed under a Creative Commons: Attribution 3.0 License. In this video episode, I invite Peter Taylor, Bill Dow, and Hussain Bandukwala to a roundtable discussion about project management offices (PMOs). We have a great interaction about the state of today's PMOs, how to start one and keep it relevant, how to market the PMO and get executive support, how agile is impacting the PMO, and predictions about the future. Peter Taylor: http://www.thelazyprojectmanager.com/peter-taylor. You can find Peter's books on Amazon here. Bill Dow: https://www.billdowpmp.com/. You can find Bill's book on Amazon here. What's working with the PMO's you see these days? What's not working? What questions do you have from this episode? Please e-mail me (show [AT]PeopleAndProjectsPodcast [DOT]com) or leave a message on our Listener Feedback Line (847-550-3747). I look forward to hearing from you! Also, if you know of a group at your organization that has an upcoming large group gathering and uses outside speakers, let them know about the podcast! I'd love to work with them to help improve their ability to lead and deliver. Learn more at http://i-leadonline.com/keynotes. Thanks! PPP 218 | (Video) Don't Just Keep Them Informed. Keep Them Satisfied. We continue our series of brief videos about something I've recently taught or learned. Earlier today I was interviewed for an upcoming PMO Virtual Summit. Our discussion was about managing difficult stakeholder situations, and in this 3.5-minute video, I share an idea about the difference between keeping someone informed and keeping them satisfied. The difference is critical when managing your stakeholders. What have you been learning lately? What are you reading? Please e-mail me (show [AT]PeopleAndProjectsPodcast [DOT]com) or leave a message on our Listener Feedback Line (847-550-3747). I look forward to hearing from you!